Darshana is excited to introduce our new and improved formula for our popular Natural Moisturizing Shampoo. With increased slip, for easier application, and conditioning, this gently cleansing shampoo will hydrate and soften your hair while making it look and feel healthier. Our custom blended Indian Ayurvedic botanicals promote healthy hair while helping detangle and condition. It is safe for color treated hair and its 18 Amino Acids will strengthen and protect it from environmental damage. Our natural moisturizing shampoo is pH balanced to provide gentle cleansing without stripping your hair. There are no sulfates, parabens, silicones, artificial fragrance, phosphates, phthalates, or animal testing in any of our ayurvedic hair products. 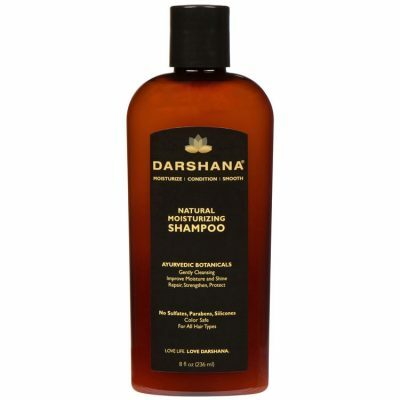 Darshana Natural Moisturizing Shampoo is a natural alternative for long term hair care.